links: Official site | Buy this game! review: I’ve never watched the CSI series on TV – because I rarely watch TV. My brother gave me CSI: Las Vegas: 3 Dimensions of Murder - last year, with a knowing smile that said, oh, you’ll like this one! As I did. Since then, I’ve played CSI: Hard Evidence, CSI: Miami and CSI: Dark Motives. CSI: NY followed logically. One great thing about these games is that they don’t link to the TV series with subtle references that are lost on non-viewers. Another is the way the storylines link together across episodes, which seems implausible till it happens. But the best part is the realism of the games. Besides the no-holds-barred storylines, the CSI games are about DETAILS, the legwork and the labwork, not just drag Item 1 to Item 2 in the inventory, and la voila, the case is solved. A lot of gamers might find this aspect of the games tedious, but I love the hands-on approach. Unlike the other titles, CSI: NY does not have 3-D screens. It has still 2-D graphics, except the mini-games which have movement, and the brief videos between scenes. The screens are well-drawn with vivid colours and a simple, attractive interface. It's like the olden-day adventure games, where the graphics, combined with the music, conveyed ambience succinctly with little or no animation. It's a welcome relief to be able to focus on the story and the game rather than struggle with swinging camera angles and lengthy permutations-combinations of graphics settings. The episodes have to be played sequentially. 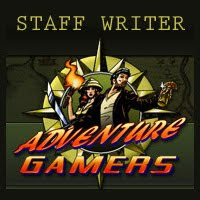 There are five episodes: four bundled with the game and the fifth, a downloadable bonus episode. Episode 1: Downward Spiral has Detective Mac Taylor investigating the death of an urban climber. It is intriguing without involving too many characters and issues, and gives us a glimpse of a little-known, high-octane sport and the stakes involved. Episode 2: Just Desserts is short and sweet. Detective Stella Bonasera investigates the murder of celebrated food critic Andrew Lourdes in yet-to-open Italian restaurant Tutto De Amici. The usual suspects are on hand - the mistress, the wronged wife, a chef irritated by Lourdes' scathing reviews, the scheming proprietor of Tutto, and a local mafia boss. The case reveals a motive that may not be strong enough for murder... but then again, who's to decide that? Episode 3: Off The Mark investigates the death of local prostitutes at a Coney Island Side Show, which involves unique characters such as a ifre eater, a sword swallower, and a snake dancer who bears an uncanny resemblance to singer Gwen Stefani. Once again, Detective Bonasera leaves no pit undug to unearth the killer. Episode 4: Hillridge Confidential covers the murder of the preppy Hillridge school's very own Gossip Girl, Beth Rossmore. As Detective Mac Taylor investigates the swish students and their less privileged associates, scandalous secrets tumble out of closets, unravelling CSI: NY's most deceptively gritty case. Episode 5: Derailed starts with the discovery of a frozen dead body on a New York subway train. And if that's not bizarre enough, forensic evidence from the victim and his apartment leads to Detective Taylor! The last episode of the series poses some tough questions for the CSI team as they struggle to balance professional integrity and personal loyalty while searching for the truth. The puzzles cover the entire range: hidden object, jigsaws, mouse-control, mix-and-match, logic, even a mini-Sudoku. 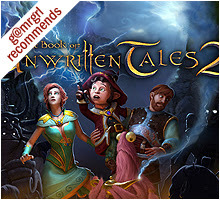 They are set well into the game-play and move the storyline forward. 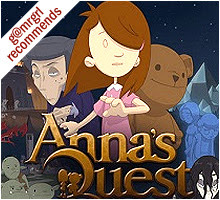 There are a lot of instructions to let even novice gamers solve the puzzles with ease. Puzzle types are repeated at largish intervals so they do not feel repetitive. Of course, playing all five episodes at a stretch would probably be monotonous, but that’s the fun of having distinct episodes, which allow for the flexibility of spacing out the playing schedule. The hidden objects are relevant to the scenes they are in, another obvious point that is, unfortunately, not really obvious to most developers today. The language is simple, crisp and easy to follow. Each dialog box has one or two sentences and the option to move forward, catering to gamers who read at different speeds. 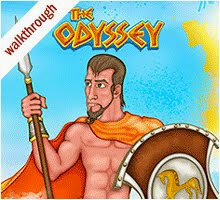 The script is also, pleasantly, free of spelling mistakes and grammatical errors, which often reduce the overall quality of many technically good games. The voice-acting, some by the actual actors on the show, is good. The voices are suitable, from the boyish whines for the Van Lars twins to Dr. Coil’s cultured speech, or even Virginia Dentata's ditzy blonde drawl. Detective Bonasera is a pleasure to hear. The background music is atmospheric and never intrudes into the game. The game auto-updates itself at the start, though I’m not sure how that works for people without Internet connections. A couple of gripes – a major one involves the videos between scenes. Despite having a high-end computer and graphics card, I had problems with these cut-scenes, which, though brief, were jerky, and completely blanked out during some of the segments, including the title track. The second is the game-play concept of delaying the shapes showing up in the inventory when looking for hidden objects, since there's no use of clicking random objects till the shapes appear. 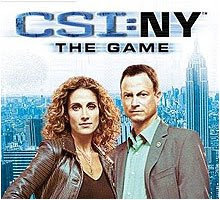 CSI:NY is not as intense as a full-fledged adventure game, but neither is it a trite casual offering. 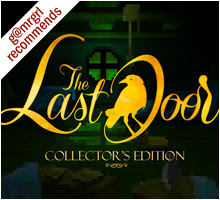 It's recommended for gamers who enjoy good, solid storytelling with a sprinkle of not-too-difficult-but-definitely-interesting puzzles.